Learn what exterior illumination is ideal for your home to thwart thieves while welcoming friends and family at night. Strong outdoor illumination is an excellent deterrent to nocturnal crime, but leaving lights on all night is a costly waste of energy. The solution? Motion sensor lights that turn on when they detect movement, whether caused by someone lurking in the shadows or family members and welcome visitors approaching your darkened house. 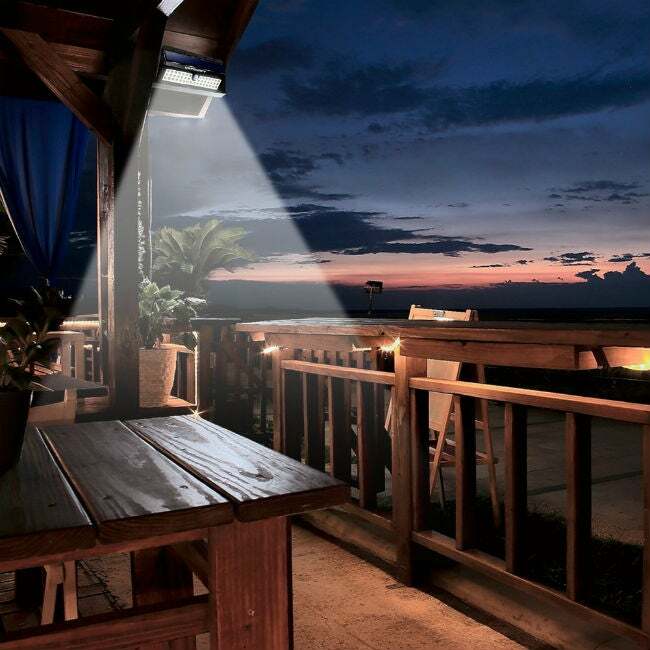 If you’re considering installing outdoor motion sensor lights, the best choice will depend on your budget, your security needs, and your lifestyle. 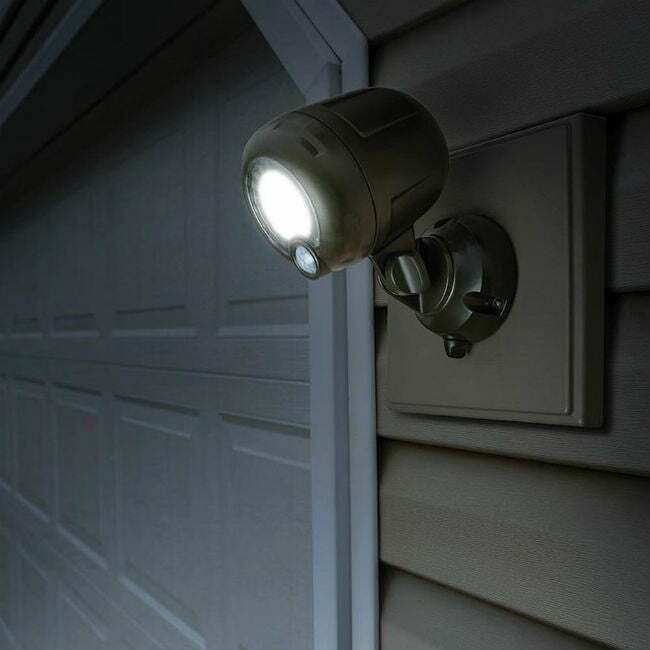 Ahead, we’ll shine a light on the features to look for and share our three picks for the best outdoor motion sensor lights based on customer ratings and reviews. • Microwave: This type of sensor sends out electromagnetic pulses that reflect off moving objects. • Passive Infrared: Known as “PIR,” this very common type of sensor turns on the lights when it detects body heat. • Area Reflective: This sensor also uses infrared rays—beamed from a light emitting diode (LED)—and then measures the reflection. When movement occurs, the sensor registers a change in the distance of reflected rays and turns on the light. • Ultrasonic: This acoustic sensor emits high-frequency sound waves that bounce off nearby objects. When the waves bounce off a moving object, the sensor is tripped and the lights turn on. A downside to ultrasound sensors is a high rate of false triggering from things as innocuous as blowing leaves. • Dual Technology: By combining two of the above sensor types, the result is fewer false illuminations. In a dual-technology light, both sensors must be triggered before the light will turn on. Note: Manufacturers are not required to list the type of technology used in their lights on the package or online description, so you may not know which technology you’re purchasing unless you contact the company and request that information. When looking for a motion detector light, factor in your individual needs, such as how far away you want the light to detect movement, how bright you want it to be, and the energy source you’ll use. • Range of detection: The distance a motion sensor can pick up movement is called its “range of detection,” which is typically listed on the package or description. Most motion sensors can detect movement from 20 to 100 feet away. In addition to distance, make note of the light’s “detection angle,” measured in degrees, such as 270°, which will let you know the span of the detection field. • Type of light: The majority of today’s outdoor motion detectors use LED light bulbs because they produce brilliant, clear illumination, remain cool, and use less energy than other bulbs, such as incandescent. A few, however, will take incandescent, fluorescent, or halogen bulbs—see package info or description to find out. 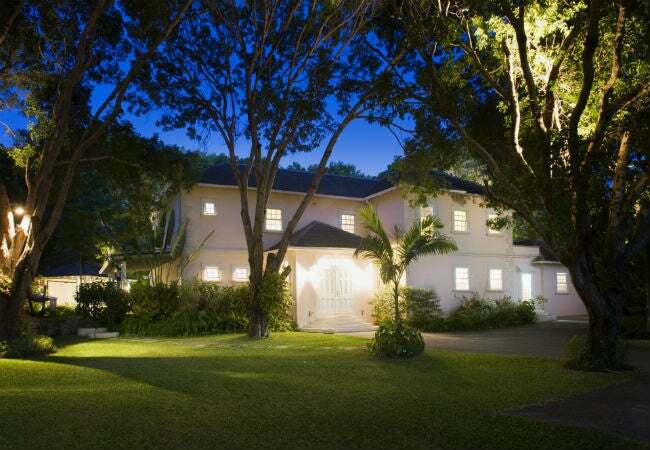 • Power options: The brightest outdoor lights are direct-wired into your home’s electrical system, where they have a continuous supply of electricity, but battery- and solar-powered motion sensor lights are simpler to install. • Illumination period: This refers to how long the light will remain on before automatically shutting off. Many lights come with a set period, such as 20 seconds, while others can be adjusted to stay on for a longer or shorter length of time. • Lumens: Light intensity is measured in “lumens,” and for comparison, a 60-watt bulb produces about 800 lumens and a 100-watt bulb produces 1600 lumens. Many, but not all, motion detecting lights will list the available lumens on the package or description. 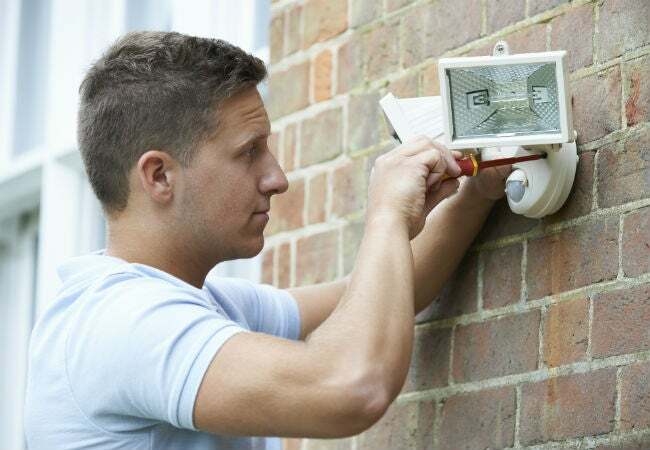 Thinking practically about installing an outdoor security light, you probably have a place in mind for where to put it. • Direct-wired motion sensor lights are often mounted at or above door height on exterior walls and may come with one or more adjustable spotlights that can be adjusted depending on the area you want to illuminate. These types of lights typically have the greatest range of detection, up to 100 feet, and can be set to illuminate large areas of a yard or driveway. • Decorative wall-mounted motion sensor lights are designed to look like standard porch lights and, when triggered, will illuminate approximately the same area as a standard porch light. Decorative motion sensor lights often have a closer range of detection than do their spotlight-type cousins. • Under-eave mounting options (under the roof’s overhang) provide a more discreet look that won’t detract from the rest of the home’s decorative elements. • Battery-powered motion sensor lights can be mounted virtually anywhere, but should not be placed so far out of reach that it will become a hassle to change the batteries. 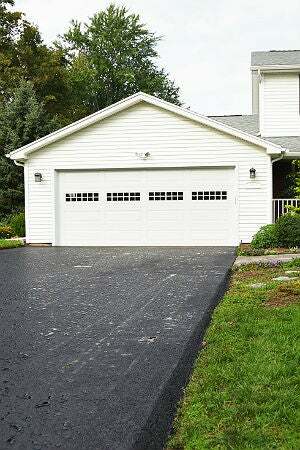 This type of light is well-suited for storage sheds and other outbuildings that don’t have electrical wiring. They come in a variety of spotlight and decorative styles. • Solar motion sensor lights can also be located in diverse locations, but keep in mind that their photocell charging panels should receive direct sunlight during the day to store enough energy to work throughout the night. • Auto-reset: Because they interrupt the electricity flow, power surges can affect direct-wired motion sensor lights, causing the light to come on, and stay on, or remain off. With an auto-reset feature, the light will reset itself automatically after a surge. The alternative is to manually shut the power off for half a minute and then turn it back on to reset the unit. • Adjustable illumination coverage: Multiple, spotlight-type motion sensing lights can be adjusted to illuminated more than one area. Some lights come with adjustable heads that allow you to direct light in a narrow beam or a broad illumination pattern. • Adjustable sensitivity: To minimize nuisance triggering, such as the light turning on when leaves are blowing, some models let you tweak the sensitivity, so only strong solid motion will be detected. • Adjustable light duration: This lets you adjust the length of time the light remains on. The option is found more often on direct-wired lights, because once the light goes on, it can quickly drain a battery or a solar cell if it remains on for longer than 30 seconds. 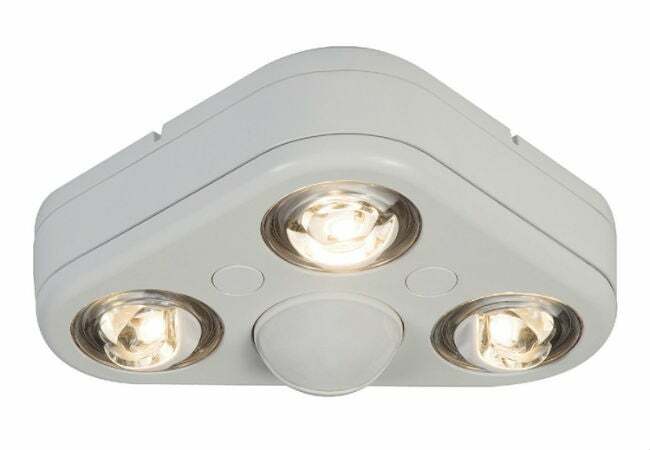 A sleek unit in bronze or white, designed to mount on the eaves or the underside of a covered patio, the Revolve 270° Triple Head blends in with your home’s décor. Home Depot buyers give it 4.5 out of five stars for its good looks and super-bright illumination. With its three optical LED lights, it produces a powerful 2400 lumens to light up your landscape as bright as day for up to 100 feet. This direct-wired light must be connected to your home’s electrical system. When placed at the corner of the eaves, the rotating optics on the Revolve can be adjusted to light up two sides of the house; it has the ability to adjust the length of light duration, too. The Revolve has a five-year limited warranty. Available from The Home Depot. With 44 tiny LED lights, the URPOWER Solar-Powered Waterproof Motion Sensor Light casts bright illumination that lasts 15 seconds after movement is detected. Designed to light up small areas, such as porches, driveways, and walkways, it can register movement from up to 16 feet away in a 120° span. It’s made to be mounted on a vertical wall or fence, to cast light downward, so a good choice for those who come home after dark and want a brightly lit walkway to their front door. When the internal battery is fully charged, which takes six to eight hours of direct sunlight, the URPOWER will operate for up to 12 hours. Amazon shoppers give it 4.8 out of five stars for brightness and all-night staying power. The URPOWER comes with an optional “Dim Light” mode that will cast a continuous dim light (similar to a nightlight) yet quickly intensify to full strength if it detects nearby movement. At full strength, the light produces 400 lumens. The URPOWER comes with a one-year limited warranty. Available from Amazon. No sun and no electrician necessary! Because the Mr. Beams Wireless Spotlight is powered by three D-cell batteries, you can install it virtually anywhere—on a fence, the garage, a storage shed, or even on a tree—and have light right where you want it. Amazon customers give the unit 4.5 out of five stars, citing the long-lasting battery life (up to 12 months) and its ability to direct illumination to a specific area. When triggered by motion from up to 30 feet away, the light shines on the immediate area and remains stays on for approximately 20 seconds. While light output is only rated at 200 lumens, happy customers say it seems much brighter due to its reflective face that amplifies the light. Mr. Beam comes with a one-year limited warranty. Available on Amazon.